Ying Jianzhong, male, graduated from the East China University of Politics and Law, majoring in law, practicing lawyer. In 1986, he began to intervene in the burgeoning Chinese securities market and participated in over-the-counter transactions. Since 1991, he has written market commentary articles and has published columns in many newspapers and magazines. He has more than 2 million words. He edited the 1997 China Stock Market Investment Handbook. From 1991 to 1997, he served as editor-in-chief of Shanghai's "Zhou Zhou Investment" magazine. From 1992 to 1993, he served as a member of the Arbitration Committee of the Shanghai Stock Exchange. From 1998 to 2005, he served as the Three Gorges Securities Company, and was the vice president of legal affairs in charge of the company. The author has been involved in the Chinese securities market for a long time and has experienced many thrilling events in the stock market. In addition to his work, the author is diligent in pen ploughing, and often has stock market essays, stock market essays, stock market cloaks, stock market culture and other works scattered in the newspaper. The Red Man Green Girl in the Sea is the author's first novel. Ying Jianzhong: The cancer of the equity pledge is not cleared. The market will be restless. Ying Jianzhong: Don't be beaten before the spring arrives. Ying Jianzhong: A-share low-level diving has a great lethality. Ying Jianzhong: The trend of A shares is still determined by internal factors. Ying Jianzhong: How high is the A-share rebound? Is it a small rebound or a market reversal? Ying Jianzhong: The old-age target fund is unfavorable. Is the real big bottom still far behind? Ying Jianzhong: The current best investment strategy is a word “熬”! Ying Jianzhong: Should the pension fund be bought? Ying Jianzhong: Pay attention to the two major themes in the bottoming. Ying Jianzhong: The stock market is stable and stable. Two major factors are worthy of attention. Ying Jianzhong: The market has fallen out of value. The real end of the big bottom was announced. Ying Jianzhong: The focus of state investment will be tilted towards technological innovation. Technology stocks will be the beneficiaries. Ying Jianzhong: Investors should move closer to technology stocks, the market is in a safe area. 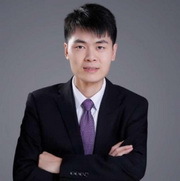 Gu Mingde, financial observer of Financial Investment News, former deputy director of the research department of Shanghai Headquarters of the People's Bank of China, researcher, representative of the book "Long-term is gold" (analysis of fundamentals and stock price trend). He Wannan, female, graduated from the Department of Journalism of Fudan University in the 1960s, a famous financial journalist. He began to enter the securities reporting field in 1989. 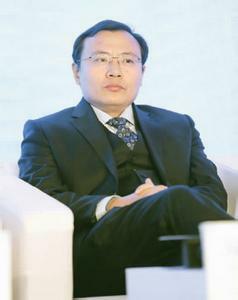 In July 1990, he founded the first securities column of the Chinese media, the "News" securities market column. One is not acceptable. Individuals are mainly engaged in the research of listed companies and the construction of the securities market. Over the past decade, they have written thousands of articles on investment value analysis, company interviews and related market construction. 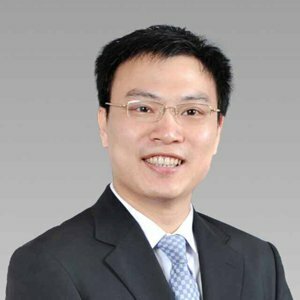 He is the author of Securities Investment Skills, Securities Market Guides, Family Investment, Performance: Growth and Restructuring, China Stock Market Investment Handbook, Securities Law and New Stock Market Concept, and Masquerade - More than ten books have been selected, including the veil of 100 listed companies and the full database of financial statements.